UsenetServer is one of the most popular Usenet Service Providers. Which makes them a major contender for one of the top five spots in the Usenet industry according to Lifehacker. They were chosen based on their excellent completion rates and Usenet global search feature. They have recently added a VPN feature for online identity and data protection. You can either purchase as an add-on or as a standalone service. These are just a few examples why UsenetServer continues to thrive in this extremely competitive market. UsenetServer offers three packages for their customers to choose from. The packages are based on the duration of subscription. The final and the best plan is their 3 month subscription, which comes with a price tag of $39.95. It offers the same features as those for the one month package but at additional 11% savings. UsenetServer operates a massive architecture for storage that can allow up to 2272 days of retention. Peering relationships are maintained by UsenetServer with all the major providers of Usenet. Meaning that you receive access to nearly all the articles that are posted to Usenet from anywhere in the world. This translates to great reliability with near perfect completion. 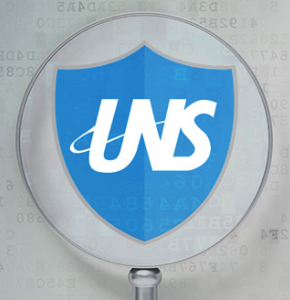 UsenetServer offers a 256-bit SSL connection to all subscribers on any of their monthly plans. This ensures secure and reliable connections. There are more than 800 providers of broadband access that UsenetServer connects to. As well as the multiple providers of Tier 1 translate to mind blowing download speeds. UsenetServer allows unlimited access to all customer plans. You can transfer unlimited amounts of data with top speeds maximized by the high number of concurrent connections in any of the plans. The number of discussion groups that UsenetServer gives access to is more than 100,000, both text and binary. You can exchange some ideas with literally millions of other Usenet users through UsenetServer. They have added a VPN feature. Virtual Private Network is a protective encryption tunnel that creates a secure environment while you are online for your data. It switches your IP for an anonymous IP which keeps your internet connection safe. They have made it so simple just download their software. They offer 3 VPN protocols PPTP, L2TP and Openvpn. There is no bandwidth or transfer limits with your account. We recommend you add their VPN service to their Usenetserver Plan that will be the best deal for you. They also offer a referral program for their customers where you can earn $10.00 credit in your account for any referral that you successfully make. 24/7 customer support is offered to all account holders through live chat, phone or email. They also offer a comprehensive FAQ area on their homepage which we found very helpful. UsenetServer offers some of the most competitive pricing we have seen in the Usenet market. Their global search feature and recent VPN addition makes them a top choice for any Usenet user.